A guest post by John Hudson Tiner, who has written a number of books published by Master Books (I particularly enjoyed his book on Physics–I’m not scared of it any more!). First published August, 2013. Bible doubters like to point out how crazy it is to imagine all earth’s mountains covered with water, but all geologists believe they were. The difference is whether we believe it all happened at once or over “millions of years”. Another piece of the puzzle is if earth has enough water to cover the whole world at the same time or not. Solving this uses a lot of math, which I’m not too excited about, so all I’d ever seen were the conclusions Creationists had come up with. Enter our guest writer. Saturday, I spotted this little gem of mathematics he’d posted and loved how factual and “simple” it made the whole problem. Since he was taking questions on a live expert forum, I could ask him if it was OK for me to share with you all. Mr. Tiner kindly granted my request.
. . . Now to the depth of the water during the flood. Dr. Morris says that it has been calculated that on a smooth spherical earth the water would cover the earth to a depth of 8,000 feet. A layer of water 1.5 miles thick: about 296 million cubic miles of water. This site, The USGS Water Science School, How Much Water is there on, in, and above the Earth? shows the total amount of water to be 338 million cu mi. That figure agrees with one I read in an old-fashioned world almanac about 30 years ago. A few years ago we took our kids to a small local zoo and I got to see these critters for the first time. Even the daddies are so adorable I wanted to pick one up and snuggle (poor guy)! Like its neighbor, the Giant Panda, the Red Panda is endangered with only about 2,500 adults left alive right now. But, unlike the Giant Panda, Red Pandas often have babies in zoos, making it more hopeful that we can protect them for the future. So, besides being as cute as a stuffed animal, what is a Red Panda like? They grow to be about the size of a house cat, but with an 18in [46cm] long tail (ringed like a Racoon), making them about 42in [106cm] long from nose to tip. They only weigh 7-13lbs [3-6kg], but they look heavier than that when you see them because their fur is so long and thick. Like the Giant Panda, God has provided the Red Panda with an unusual feature. Their wrists have a bony projection that works like a thumb that helps them hang on to things. A Red Panda’s coloring helps it blend into the lichens growing on its forested environment. Their soft fur grows everywhere on them, in their ears and even on their paw pads. This is a good thing for them because they like to live in the mountains and cool forests where it snows in the winter. Their bushy tail makes a particularly excellent nose warmer for a cold winter night! Red Pandas live wild on the band of high land running from India, Nepal and Bhutan on the west through China and as far east as northern Myanmar and Laos. Like the Giant Panda, their favorite food is bamboo, which is really hard to digest and has few calories. This means both of these animals are dependent on a large and steady supply bamboo, but bamboo has a habit of all flowering and dying at once. Farmers have cleared a lot of the land these animals used to roam around, so they are often stuck in one area where the bamboo might die suddenly. 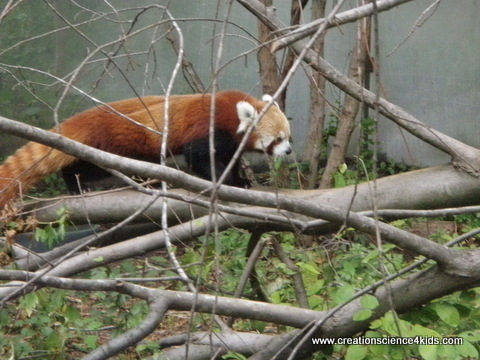 Unlike the Giant Panda, the Red Panda regularly eats more than just bamboo. They are also fond of fruit and berries in the Summer and has even been known to occasionally eat eggs and baby birds, small rodents and bugs. Because of this better diet, Red Panda mothers usually have two babies each year and can bear up to 5! Baby Red Pandas stay with their mom until the next winter when they have to fend for themselves. Adult Red Pandas live all alone except for mating time and when a mother is raising her babies. They only live to be about 13 years old in the wild with one known to have lived to 17 in captivity. This means an average mother could have about 20 babies in her life, but some of them are likely to be eaten by yellow martens (sort of like weasels) before they can grow up. Red Pandas, being much smaller than the Giant ones, love to climb and hang out in trees. Their long tails help them balance as they move around on the branches. The one I saw at the zoo was taking a nap with its head stretched along a tree limb and its legs hanging down on both sides. Trees also make a good place to hide from snow leopards who find them tasty and people who like to turn their tails into wedding hats. They also tend to be fairly quiet, making twittering and whistling noises when they want to talk to each other. National Geographic tells us that, “The red panda has given scientists taxonomic fits.” [tax-uh-nom–ic: put into groups] That means the Red Panda is a problem for people who want to say that everything developed from one animal along a bunch of Evolutionary paths that grew more and more unique from each other. Why? The Red panda is similar to some animals that aren’t ‘supposed’ to be close on the ‘tree of life.’ They have a few features in common with the Giant Panda, which doesn’t surprise anyone. But, they have more in common with the raccoons of North America as well as weasels. We know that all things were designed by one Master Creator and it doesn’t surprise us at all that the Red Panda is a variation on a number of God’s themes. 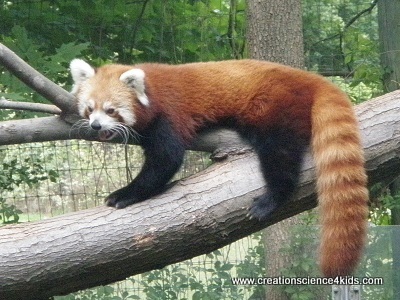 We’ve learned that there were once Red Pandas living in what is now North America. 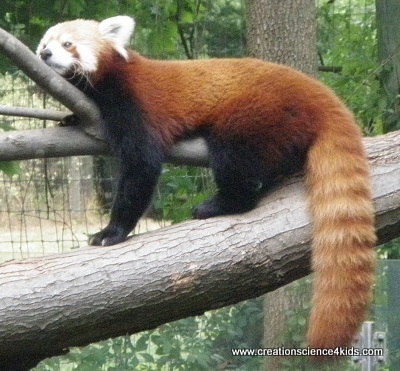 In 1977 a fossilized Red Panda tooth was found in Washington State. In the last ten years almost a whole fossilized skeleton has found in Tennessee!! A bunch of animals (like the Saber-tooth Tiger, Shovel-tusk Elephant, and more) got washed into a sink hole along with at least two Red Pandas. Interestingly, the bones seem to show that they used to eat a wider variety of foods back then. But from what I’ve read about dinos, scientists have vivid imaginations about possible diets for fossilized critters. 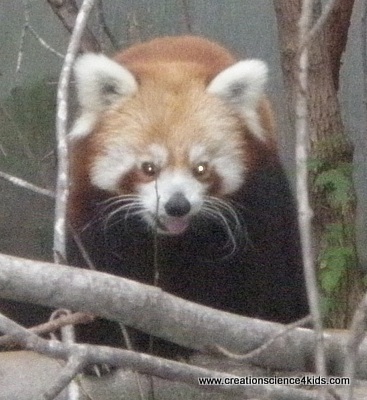 The page on Red Pandas at Animal Info had some interesting historical trivia about them. It says westerners were told about the Red Panda before the Giant Panda. It was first called the “Wah” (the Nepali name for it) after its loud call and then the “Poonya” which was another local name meaning “bamboo eater”. We English speakers had trouble saying this, so we changed the name to Panda. So the Red Panda got its name first and the Giant one borrowed it! Coneys, Rock Badgers, Hyraxs. What kind of critter are those? Growing up, I never could picture what these animals looked like. None of the English names we have for these guys meant anything to me since I’d never seen one. If you look up Coney with an online dictionary, it will tell you that a coney is a fish (try to picture fish building a house in the rocks!). My kid’s dictionary says that ‘Coney’ is a different way of spelling ‘Cony’ which is a European Rabbit. Turns out that the Biblical Coney, aka Rock Badgers, aka Hyrax is something that looks more like a ground hog! When I went to look them up last year, I realized that I had just read a story about their African cousins, The 3 Little Dassies , by Jan Brett*. 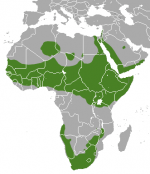 Although in Africa they are known as Dassies, the most common name for them in English now is Hyrax [hi-raks]. The ones living in Israel are part of the Syrian Rock Hyrax family. nitely has a way of throwing wrenches into people’s neat “tree of life” machines. From the picture, you can see that hyraxes look kind of like marmots, mongooses, and ground hogs. They have short, thick, brownish fur that can range from light grey in the desert, to almost orange in southern Israel, to dark brown in greener areas. They have small ears and thick bodies. Grown up Hyraxs weight around 9lbs and are about 20ins long, so they’re a little smaller than a ground hog. Unlike these other animals, Hyraxs don’t dig deep burrows. The places they choose for homes already have piles of rocks and crevasses to live in. They keep their homes tidy by deciding on one spot to use as a bathroom so the rest stays clean. Hyraxs love to live in groups that range from 10 to as many as 80 members. Like prairie dogs, they post a sentry (usually the dad) to keep an eye out for danger while the rest find food. If the sentry spys danger, he will call a high pitched alarm and they all scurry into their hiding places among the rocks. This protection works so well that it is rare for one to be eaten by the south Judean wolves. Singing is a favorite pastime for Hyraxes. They seem to let each other know how they’re feeling and keep in touch with neighboring groups with all kinds of whistles, twitters, shrieks, and growls. The Tree Hyraxs of Africa are nocturnal, so they keep all the neighbors awake at night with their squeals and screams. To stay near the protection of their dens, Hyraxs only venture out about 150ft from their homes to look for food. They’re vegetarians, eating whatever kinds of plants they can find, especially grass and leaves. They have incisor teeth that are nearly tusks (that’s part of why people think Hyraxs are so close to elephants) to chew on tough plant parts. Desert Hyraxs get most of their water from the plants they eat. They can climb trees and will get into people’s gardens to munch the citrus leaves there. They also will eat insects and grubs. A mother Hyrax is pregnant for 6-7 months before giving birth to two or three babies. Compare that to a rabbit who only takes a month to pop out 4-12 babies! Baby Hyraxs are born with their eyes open and lots of fur to protect them. They start running around at just an hour old and try out the veggies within a day or two. They take over a year to grow up, while a rabbit only takes 6-7 months, but both animals live about the same length of time- about 10-12 years. Hyraxs are a ‘lazy’ bunch. They spend about 95% of the time lying around. During the day they spend most of the time basking in the sun. Even though Hyraxs are mammals, they can’t keep their bodies constantly warm like we do. They get warmer and cooler with the day and night, so lying in the sun helps warm them like a snake. Not surprisingly, the fossil record shows that before the Flood there were a lot more varieties of Hyraxs. It shows that they lived in more places including Europe. And (guess what!) some of them were really big, “about the size of a small horse”!! Wow, that’s a big furry critter! *The Amazon link to 3 Little Dassies is an affiliate link. If you purchase anything from Amazon after clicking it, I get a percentage of the sale to support this ministry. This week we’re learning about this fourth type: Fold Mountains. Not only are these whole ranges folded, but many of them have some amazing folded rocks in them. I saw some of these enormous folds while visiting the Rockies around Grand Cache, Alberta. Unfortunately, I didn’t have a good camera with me to show you pictures, but you can have a look on a search engine and view some spectacular photos. How do you get huge sheets of rock to fold up like this without breaking them in pieces? Turns out rocks don’t always break when they are being forced to change direction. I had to search and search to find these things out, but it turned out that the page above mentions all 5 of the commonly taught causes for rocks to bend without breaking (called fracturing). (1) Softer rocks can bend more than hard rocks like quartz and granite under everyday conditions. All rocks can bend more when they are (2) hot and (3) pressurized down deep in the earth (15km or more). But the rocks I’m talking about weren’t down deep, they were near the surface when they were pushed together. (4) if you bend the rocks slowly enough, you can keep them from breaking. Ah, ha, so that’s how they explain these things! Just give the rocks a dose of unobservable time and you’ve cleared up all your problems with folded rocks. No one can possibly prove them wrong for the next 10,000,000 years or so! Now for reason #5 (which was rather hard to find on the non-Creationist web, so listen close). Rocks can bend rather than break when they are… full of water. Now, when would we have had a lot of water-soaked rocks being pushed together and forced up? I ran into an Old Earth Creationist site that said this idea of folded rocks being proof of the flood is nonsense because of the other ways to get them slowly. They mentioned an unnamed chemical “solution” that would make rocks more bendable, but the only chemical I can find that does this is water! Well, it looks like we’re back to what Answers in Genesis and the rest have been saying for years. Water and soft, young rocks can fold. Old rocks folding over millions of years? That takes as much faith as it does to believe what Noah recorded. These are the main verses talked about in ICR’s Great Turnovers! article. Don’t miss my Quotes for the Day! Answers in Genesis: Rock Layers Folded not FracturedCreation Ministries International: Should atheists be free to teach what they believe? ; and Folding Solid Rocks This one is great with an account of a tree fossil upright through folded layers! Institute for Creation Research: technical PDF of Tight Fold and Clastic Dikes. If you take a minute to read the “abstract” you will see that Uniformitarians must believe that sandstone remained soft for millions of years before being bent. One of the reasons Evolutionists tell us that there ISN’T a Creator (and if there is, it’s really stupid) is what they call “imperfect design.” They claim that if something doesn’t work as well as another design (that they come up with) would, it is proof that everything just happened by chance. Our eyes are favorite ‘examples’ of these poorly formed parts. Of course, he’s not likely to change his mind no matter how many proofs you show him of the exquisite design of our eyes. As always, it comes back to a person’s worldview. But if you want to read all the things we could point out to show how foolish such thinking is, you could have a look at this ICR article. “An evaluation of this argument reveals it is not only naive, but grossly erroneous…. Research by ophthalmologists has clearly shown why the human retina must employ what is called the “inverted” design.” Turns out our rods and cones would die without this “backwards” design. It’s interesting to compare our eyes to today’s best cameras. 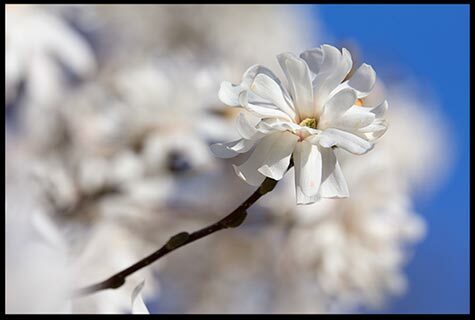 Engineers have been working for over 100 years to develop the most effective photographic capabilities possible. Not only are our eyes designed to focus on what matters most to us, they also don’t work alone. Our brain does all kinds of processing to help us understand what we are seeing. A quick glance by our eyes might be a fairer comparison, but ultimately the uniqueness of our visual system is unavoidable because: What we really see is our mind’s reconstruction of objects based on input provided by the eyes — not the actual light received by our eyes. A couple of weeks ago my kids were having fun finding out about their Blind Spots. First, we looked at a coloring book from the eye doctor with a special page to focus on in order to locate where the dot disappears. Then, my 5-year-old asked for a video to learn about why we have blind spots in the first place. It only took a minute on YouTube to locate a nice one! I especially enjoyed the second video because now I know why the sky is blue!!! Answers in Genesis has been talking a lot about what it means to know that all people are children of Adam, Eve and Noah’s three sons and daughters-in-law. As Bible believers, we have no reason to think that we are better or worse than anyone else because of our body shape, size, color, or gender. We are all created in God’s image “So God created man in his own image, in the image of God created he him; male and female created he them.” Genesis 1:27, So we are all one enormous family. I was really pleased by THIS ARTICLE where the former leader of Answers in Genesis’s UK branch, Dr. Monty White, talks about how people responded to his talks about being One Race. It’s not an eye-crosser, so I’ll just let you check it out for yourself. Often I like to play “what if?” with different things that people believe. There is only One Truth and that is Jesus and His Word, “I am the way, the truth, and the life: no man cometh unto the Father, but by me.” John 14:6. But it can help us understand how wonderful God’s gifts are when we think about what other people believe the world is like. For example, there is no other religion that puts girls on the same level as guys before God! So, let’s play “what if?” with Evolution and races. One of the big things Darwin wanted from Evolution is to feel that he was better than others because he was English. If someone’s face ‘looks’ more like a monkey’s to someone else, then they must not be as highly evolved and are therefore worth less to the future of humanity. If you’re old enough to handle seeing some of what people have done because they really believed this, watch Ben Stein’s movie Expelled to see some of the things that happened in the 20th Century because of these beliefs. For me, if you could make anything be true just by believing it, I would never choose to believe that my great, great grandparents were apes, whose ancestors were fish, whose ancestors were amoebas, whose ancestor was a rock. No thanks, I’ll take being made by God in God’s own image any day. And guess what, that is the TRUTH!!! Thank you, God, so much!